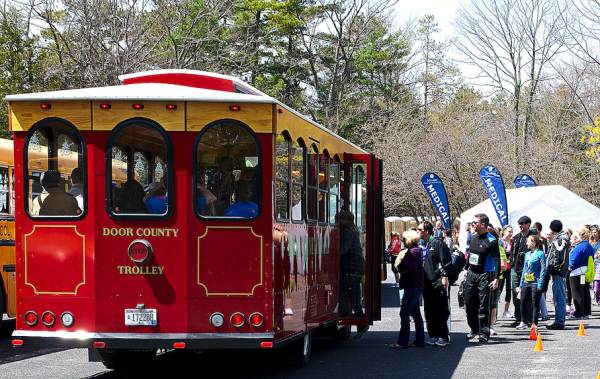 The Door County Half Marathon will be held Saturday, May 4, 2019 at 10 a.m. Registration for the 2019 Door County Half Marathon is open. 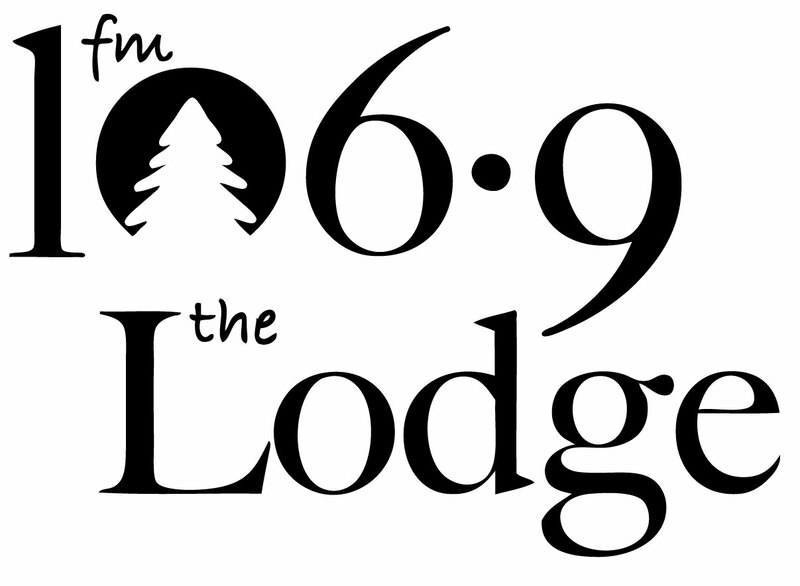 The race will be held Saturday, May 4, 2019. The entire half marathon is run on paved surfaces in Peninsula State Park. This U.S. Track and Field certified course starts and finishes near Nicolet Beach. MP3 players are allowed for the race, but please keep the volume down in order to hear emergency vehicles or safety/directional information. Sorry, no dogs or strollers are allowed on the course due to space and safety concerns. Walkers are welcome and should plan to finish by the time the course opens to traffic at 1:30 p.m. To get the road open in time, our crews must begin dismantling the finish shute at 1:15 pm. Official race shirts will be given out at Packet Pickup, and medals will be awarded at the finish line. Each runner receives a free beer or other beverage at the post-race party at Nicolet Bay, where we’ll have live music at the tent. All runners will also receive a coupon for a beer at one of several sponsor bars and restaurants. Prizes will be presented to the top finishers in each category – Overall, Masters (40+), Grand Masters (50+), and Senior Grand Masters (60+). The top five finishers in each age group will be awarded medals. For registration questions contact Jordan Burress at jordan@peninsulapacers.com. 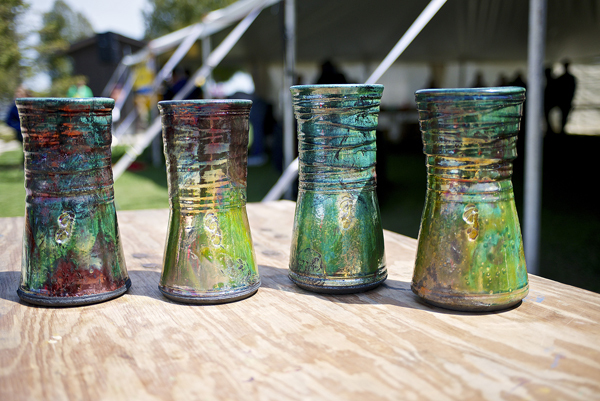 Overall and masters winners receive pottery specially made by Race Director Brian Fitzgerald in his shop, Ephraim Clayworks. Photo by Len Villano. The race begins a few hundred yards west of the Half Marathon starting line on Shore Road. Participants will follow the out-and-back course to the Eagle Bluff Lighthouse, where runners will turn around to head back on Shore Road to the finish line. The new route for the 5k will make for a cleaner finishing area for both races, allowing nearly all 5k participants to finish before the half marathon runners come through, while providing amazing views of Horseshoe Island, the lake, and the lighthouse. Official race shirts will be given out at Packet Pickup at the Ephraim Village Hall Friday, or at Nicolet Bay Saturday morning. Each runner receives a free beer or beverage at the post-race party at Nicolet Bay, where we’ll have live music at the tent. All runners will also receive a coupon for a beer at one of several sponsor bars and restaurants. 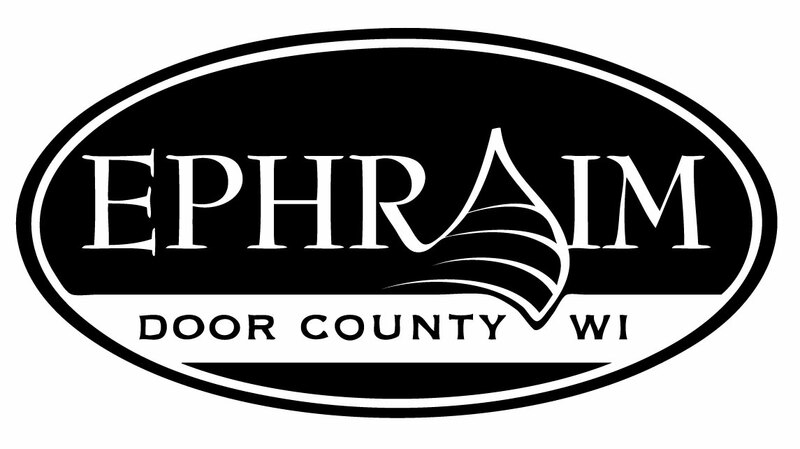 On Friday, May 3, runners may pick up their packets at the Ephraim Village Hall just north of Wilson’s Restaurant on Hwy 42 from 1 – 9 p.m. (Packet pickup on race day is at Nicolet Bay inside the park). 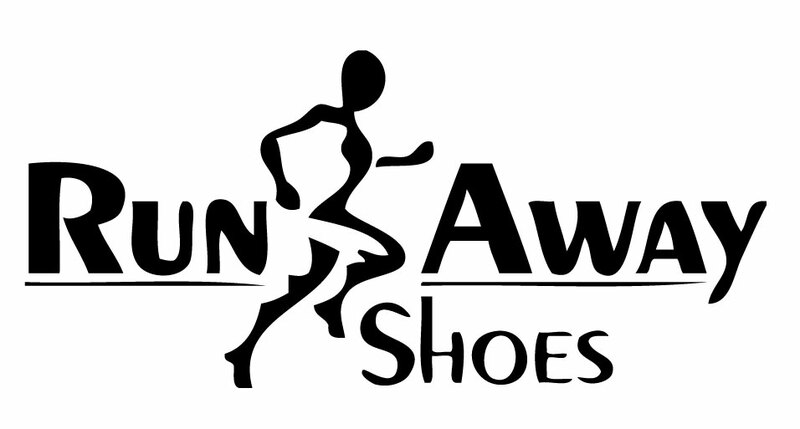 Participants will find Door County Half Marathon gear, race information, park stickers and event passes for parking at Peninsula State Park, merchandise from Run Away Shoes of Green Bay. Family and friends, back again this year, Courtney and Mike from Clink! will be there for you to make a handmade sign/poster to cheer on your runners! On Race Day, packets may be picked up at Peninsula State Park from 8:00-9:30 a.m. Reminder – parking is limited in Peninsula State Park on race day. Please check the transportation and parking information sections of this site for more information. 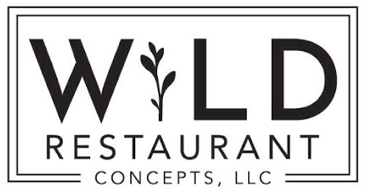 Several of our sponsors will offer pasta dinner specials the night before the race. Check back for updates. Once you finish, you’ll be able to grab a beer from One Barrel Brewing Company in the Runners Concourse! (You MUST HAVE YOUR ID TO GET A BEER). Later, runners will be able to use their drink ticket for a free One Barrel Brewing Co. beer or soda at one of six designated sponsor restaurants – Julie’s Park Cafe, The Cookery, Al Johnson’s Stabbur, White Gull Inn and Husby’s. On race day, two entrances will be open at Peninsula State Park. The Fish Creek entrance will be open until 9:00 a.m. and the Ephraim entrance will be open until 9:30 a.m. Park Greeters will be at both locations to assist you. Participants should plan to arrive between 8:00 and 9:15 a.m. At 9:45 am all roads inside the park will be closed to traffic except shuttle buses and emergency vehicles. Roads re-open at 1:30 pm. Late arrivals may experience significant delays in getting to the parking lot and arriving at the race on time. Also, roads inside the park will be closed to traffic during the race. Please Note: Drivers will not be able to drop off runners at the park. We offer shuttles for all runners who need a ride to the park. If you enter the park, you will have to park your vehicle at one of the assigned lots near the concourse, and will not be allowed to exit the park until the roads re-open. We have ample shuttles to transport runners to the starting line. You can take the shuttle from hotels on the shuttle route, and runners can also be dropped off or park at Gibraltar School and Skyway Drive-in and take a shuttle into the park from there. Shuttles run continuously from these locations to the starting line throughout the morning. For more details see our section on shuttle times below. Medical personnel will be available throughout the course and a medical tent will be located at the finish line. Aid stations for the half marathon will be located near miles 1, 2, 4, 5, 6, 8, 9, 11 and 12. Aid stations for the 5k will be located at the 1.5 mile turnaround. The Door County Half Marathon and Nicolet Bay 5K will be chip timed. Timing chips are attached to your bib. To ensure proper recording, wear your bib on the front of your torso. The chance of your chip not reading increases significantly if it is covered by clothing or worn on the side of your leg or your back. Results will be available after the race in the big tent in the Runners’ Concourse online. Your cell phone may not work in the park. Please designate a location to meet up with your family and friends after the race. Door County Temperatures in early May range from lows in the mid 30’s to highs in the upper 50’s. Keep in mind it will be cooler by the lake. Gear Check will be available at Nicolet Bay. Dogs are allowed in most areas of the Peninsula State Park; however, the park does not allow dogs in Nicolet Bay Beach, the location of the Runners’ Concourse. We do not allow dogs on the race course, or in shuttles. Thank you for your cooperation. Sorry, no strollers are allowed on the course in either race. Drop off your bag at the Gear Check Tent in the Runners’ Concourse, near the finish line for both races and centrally located between the two starting lines. The shuttles in and out of the park take right to the starting line and back to your hotel or vehicle. Photo by Len Villano. Shuttles will do a one-time pick up for guests at designated lodging sponsors at 8 am. Additional shuttles will run continuously from our Park and Ride locations, Skyway Drive-In in Fish Creek and Gibraltar School in Fish Creek, from 8 am – 2:30 pm. It is about a 20 minute ride from any of our stops to the Runners’ Concourse inside the park. Shuttles will make return stops to our lodging sponsors and our Park and Ride locations from 11am – 2:30 pm. Please note designated roads inside the park will be closed until 1:30 pm. Please note, shuttle rides departing from any of the pickup locations in Ephraim or Fish Creek will take about 20 minutes to get to the Runners Concourse inside the park. Return shuttles will leave the park from 11:30 a.m. – 2:30 p.m., departing every half hour to all pickup locations. Parking at Peninsula State Park is limited to 650 vehicles on race day, so carpooling is suggested. If you plan to drive to the park, you must purchase an annual park sticker ($28 for WI plates, $38 for out-of-state plates) or a daily pass ($10, $13) if you don’t already have one. Both are available at packet pickup on Friday at the Ephraim Village Hall or on race day at the Fish Creek and Ephraim Entrances. The earliest time drivers may exit the park is 10:45 a.m. Parking is not allowed in Nicolet Bay Parking Lot at any time on Race Day. Veteran Chicago Marathon pacer Krista Eliot has organized a team of experienced pacers to guide you to your best race! 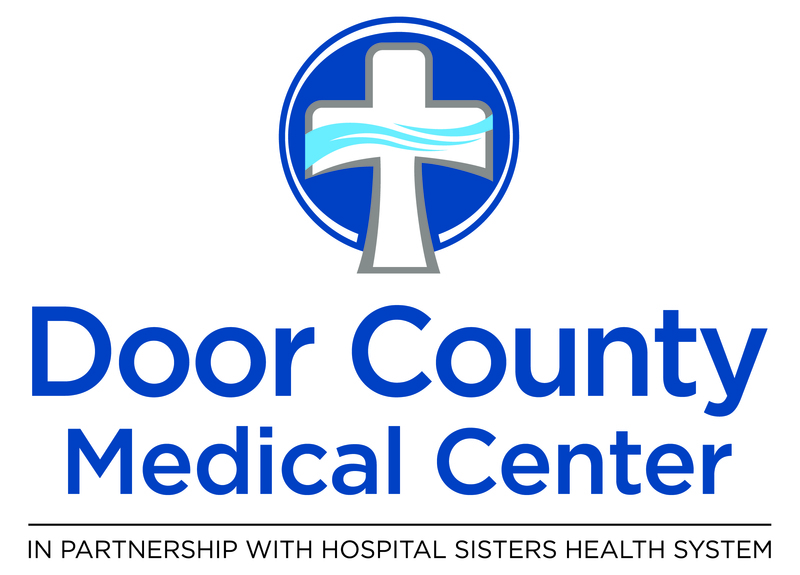 The Ministry Door County Medical Center pace team will help you reach your goal. Photo by Len Villano. Participants are welcome to shower after the race at the Northern Door YMCA in Fish Creek, located between the two park entrances on Hwy 42 across the street from Gibraltar School. Simply show your bib number at the front desk. Bring your own towel or get one at the Y, a limited supply of towels are available for a small fee. Overall and master winners for the half marathon and 5k will be awarded with prize packages and age group winners will receive medals. Overall and master winners are eligible to win age group awards. Spectators are encouraged to come to the park to watch the Door County Half Marathon and Nicolet Bay 5K. There will be plenty of places along the route for spectators to cheer on their favorite runner. Maps highlighting viewing spots will be available at Packet Pickup or at the Peninsula State Park entrances. Spectators are welcome to ride to the park on the free shuttles. For more information please refer to the shuttle and parking information sections. On race day, stop by the Information Table in the Runners’ Concourse at Nicolet Bay.